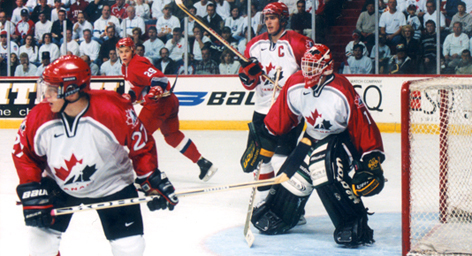 In August of 1999, representatives from the National Hockey League, National Hockey League Players Association, the Canadian Hockey League, and Hockey Canada membership gathered in Toronto, Ontario for the Molson Open Ice Summit on Player Development. The primary focus of the event was to discuss player development in Canada. By engaging in dialogue on Canada’s past, present and future aspirations in the sport of hockey, Canadians were provided with the opportunity to explore new directions in player development. The Summit produced 11 recommendations for change and gave Hockey Canada, the sport governing body for amateur hockey in Canada, the mandate to execute a plan to address these needs. Since the Open Ice Summit in 1999, Hockey Canada has engaged in a wide variety of initiatives and activities to address these 11 recommendations. Each hockey season in November and in May, Hockey Canada Development staff report to the Hockey Canada Board on the ongoing activities and outcomes of these is initiatives. In order to keep the membership of Hockey Canada informed of these developments, updates are made available through this area of the Hockey Canada website.